Hello MIUIers, hope you are doing well. Today we talk about root process of Xiaomi Redmi 4/4A/4x devices. Here we present step by step guide of root process with detailed instructions. Also, talk about ROOT damages and advantages on Redmi 4/4A/4x. If you want to enjoy another ROM on your Xiaomi Redmi 4/4A/4x then you must need to unlock your phone’s bootloader. 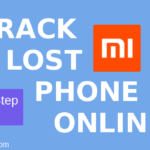 Now a days Xiaomi locked their phone bootloader for data security purposes. Through the help of ROOT powers, you can do anything on your phone which is restricted by phone manufacturers like changing IMEI, changing GPS location, VoLTE support and you can also use those apps which only runs on root hardware. Many apps are available on Play store which only work on that device which have root priviliange. So the first root your Redmi 4/4A/4x then use those apps on your Redmi mobile. If you are thinking you can easily root your Redmi 4/4A/4x mobile via a mobile app like Kingo Root. Then please clear one thing. Don’t try these type of root apps on your snapdragon based mobile. This work may be damaged your mobile. So please don’t try kingo root app on your Redmi mobile. You can’t root your Redmi 4/4A/4x mobile via Kingo Root app. 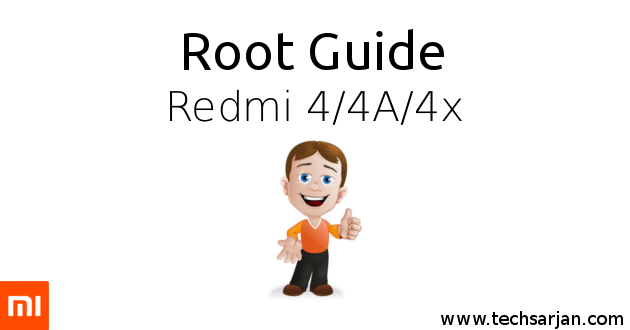 Here we talk about all basic requirements to enable root access on your Redmi 4/4A/4x mobile. Universal ADB drivers – Click here to Download Universal ADB Drivers for Redmi 4/4A/4x. ADB Files – Clik here to Download ADB file for REDMi 4/4A/4x. TWRP Recovery – Click here to Download latest TWRP Recovery file for Redmi 4/4A/4x. Super user zip file – Click here to download super user APK zip file for Xiaomi Redmi 4/4A/4x. Bootloader unlock required – Click here to read detailed guide for bootloader unlock of Redmi 4/4A/4x. Phone must be charged above 65%. Before entering in this section you need to complete all requirements which are described in above section. You must need to unlock the bootloader of Redmi 4/4A/4x mobile. If you still not unlock bootloader then please visit this guide to unlock the bootloader. A detailed guide to unlock bootloader of Xiaomi Redmi 4/4A/4x – Step by Step. Once you unlocked bootloader then we can go for root process of Xiaomi Redmi 4/4A/4x mobile. Hope you download all files which we described in the requirements section. Go to settings -> About phone -> tap miui version 7 times. Enable USB Debugging– Goto Settings > Additional settings > Developer options > USB Debugging and enable it. Connect your Redmi 4/4A/4x mobile to your system via the help of USB cable. The Supersu zip file which you download, Transfer this file in phone’s internal storge and remember this location. Open ADB folder from download sections. Now hold “Shift” Key then right click and select “Open command Windows here”. now type “adb devices” command in terminal. if some output there means your phone is connected with the system. Now do Swtich off your Redmi 4A mobile and boot in Fastboot mode via pressing Volume Down + Power key button. Now again run a command “fastboot devices”. If all things go well you see a device there in the terminal. This will boot in TWRP Recovery mode. First select language and swipe right. Now mark mount system partition read only. Click on backup (If you want back which help you if anything goes wrong). Boot process may take time approx 6-9 minutes. Now your Xiaomi Redmi 4/4A/4x is fully rooted. You can download any root checker app which is freely available on Google Play Store in order to check whether your Redmi mobile is rooted or not. So this is the working Root method for Xiaomi Redmi 4/4A/4x mobiles. Don’t care about device warranty. Doing root is not void your warranty. Enjoy your life with root privileges in your Redmi 4/4A/4x mobile. MIUI version does not affect the root process. No matter which MIUI version you are using right now like MIUI 7/ MIUI 8 or MIUI 9. All MIUI versions are comfortable with TWRP recovery and root rights. But if you are thinking you get MIUI updates then there are fewer chances for updates you need to update your device manually via flashing latest MIUI ROM on your device. So in short, After root, you can not get MIUI updates which are rolled out via OTA. But this is not a big deal you can download MIUI ROM file and flash via TWRP Recovery. 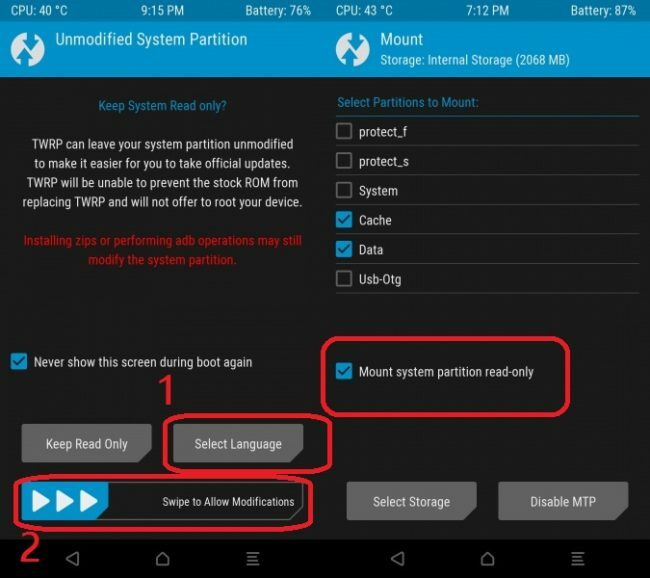 This ROM flashing process via TWRP is very easy and simple. Soon we share a guide for ROM flashing on Redmi 4/4A/4x. If you are thinking you can solve hang problem via rooting then please don’t go for it.